Item # 2400 Price: $335.00 Buy! Description: Our no drip medicine is adjustable to fit different sizes of bottles. The bottles stand up when not in use and turn upside down when using. 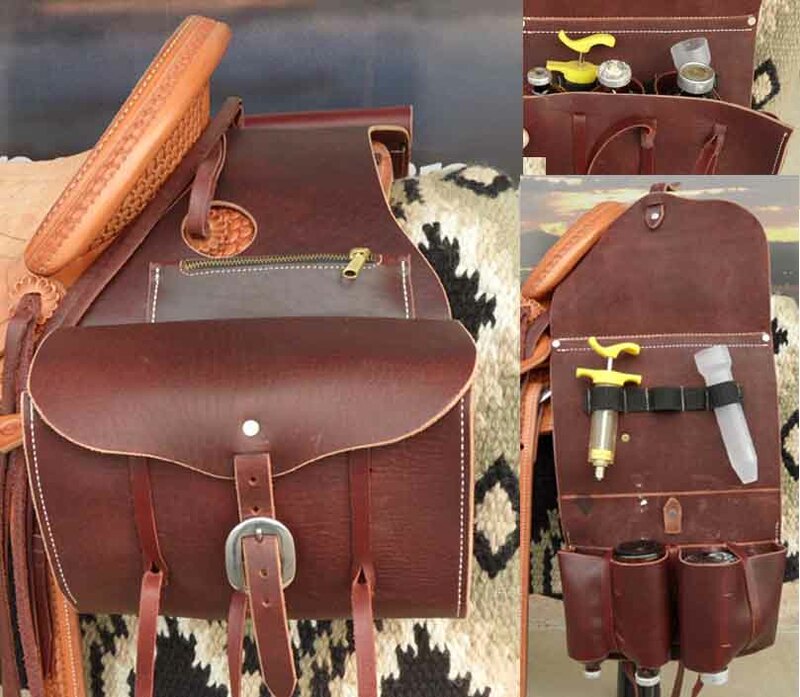 Extra saddle pocket on right side and a needle pouch on the left side.